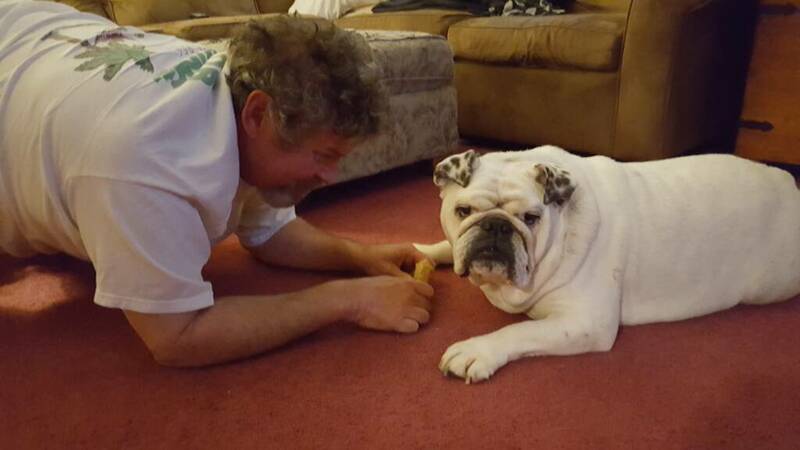 Father's Day Contest ~ Bulldogs with their (human) dads! 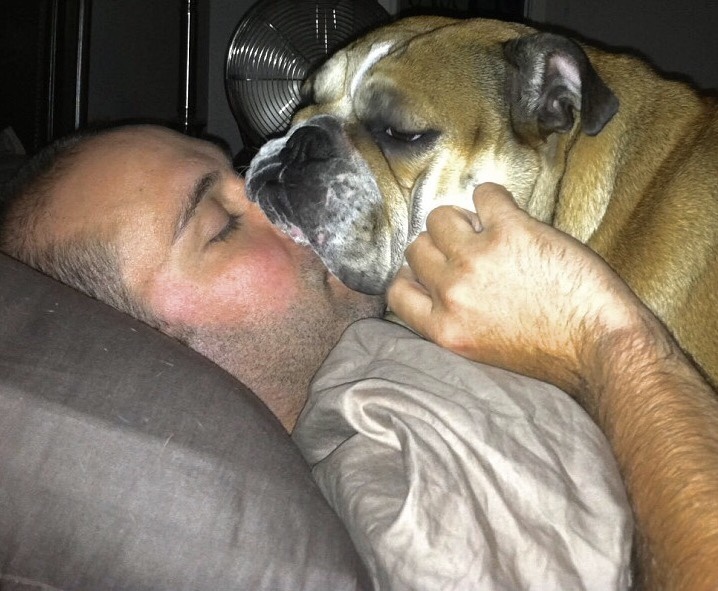 Let's see your adorable bulldog(s) with their human daddy.....for a chance to win FREE Nuvet Plus! After June 22, 2017 we will no longer accept entries. Winner and Runner Up will be announced on or shortly after July 1, 2017. Whatcha working on dad?? You need my help! Now that's a cool pic! Wet noses and drooling jowls. Life Doesn't get any better. Happy Fathers Day! My daddy holds my bone for me to chew and he says mama spoils me!